Meghan Graff ‘22 has been named Rookie of the Week by the Maine Women’s Basketball Coaches Association for three consecutive weeks. 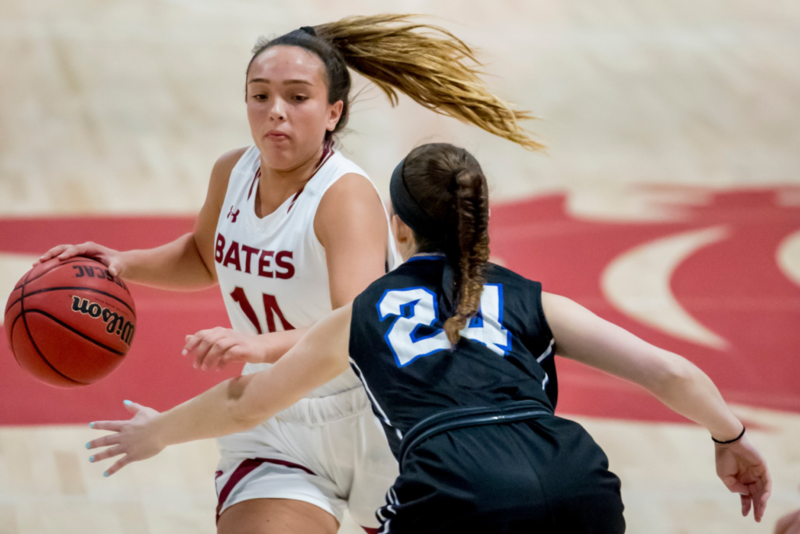 She was also named New England Women’s Basketball Association Rookie of the Week which has not been received by a Bates player since 2015. Currently Graff leads the team in points scored per game (11.4) and career points scored among the first years (274). Megan Graff ‘22 has been a key member of the Women’s Basketball team this year. One might think Graff would be eager to talk about her achievements this season, but when asked how it feels to be playing well as a firstyear, her focus goes straight to her team. Graff not only has a team-oriented mindset, but also a competitive drive and commitment to the sport. All three of these traits have been necessary for the team to work well this year. The team is young, composed of one senior and two juniors making the underclassmen leaders on the team. Though they may lack college playing experience, they make up for it in their unity. When asked about her team dynamic Graff said, “It’s a selfless team . . . we all want the same thing . . . to be successful. Basketball, one could say, runs in her family. Her mother played it as well as her older brothers and she’s been playing since third grade. Not only did she play basketball growing up, but soccer, softball, and lacrosse as well. It’s safe to say that since a young age her mindset has been team oriented, and it’s evident when she talks about the sport she loves. Besides the combination of being fast-paced, competitive, and fun, Graff said that because “[basketball] not individual, its team based,” was another quality she liked about it. Both Julia Middlebrook ‘21, who was named to the Maine All-Rookie Team by the Maine Women’s Basketball Coaches Association last year, and Head Coach Alison Montgomery acknowledge how Graff’s personality has made an impact on the team. “Her compassion towards [our] teammates and I as well as her dedication to the program makes her an incredible teammate,” Middlebrook said. To be that selfless and dedicated to one’s team and teammates is an inspiring and distinctive attribute found in a person, especially in the competitive world we live in today. But, it’s also what one hopes to see in an athlete; afterall, in the movie “Hoosiers,”(based on the true story of a small, rural Indiana basketball team who wins the state championship), one doesn’t watch it and fall in love it with it solely because of the final state championship scene where the star player shoots the game winning shot (though it is nice element). Instead, it’s the journey you see the players undertake as a team. The journey of group of underdogs who overcome adversity together. On any team, there are and always will be standouts, but you won’t smile on the side of the court in Alumni Gym because you’re seeing an incredible shot by a star player. You’ll smile because you’ll see a group of women, Graff included, encouraging each other, hugging each other, and high-fiving each other after points that are scored or not scored. If they win or if they lose. You’ll smile because you’re witnessing that common phrase being lived out: you’re watching what a team was always meant to be. In the last three years, the members of the men’s cross country team have been seventh at the NESCAC Championship meet. This year, however, things were different. 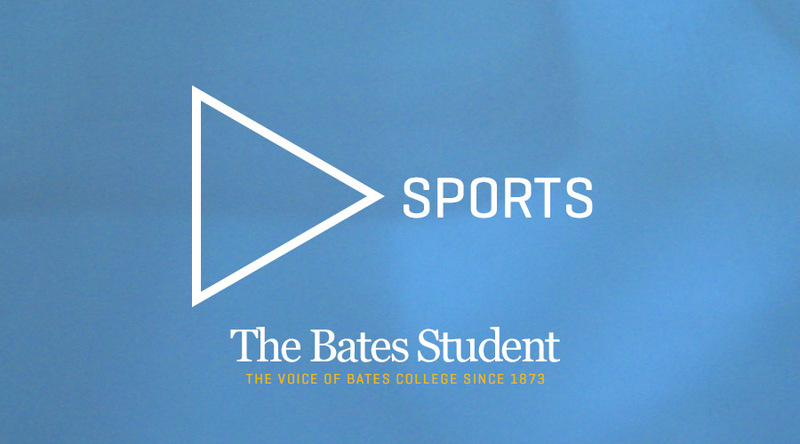 Bates hosted NESCACs and the team ran one of their best races of the season, placing third overall.